With England’s injury list growing, there’s been talk of Maro Itoje playing at 7 for his country this November. If true then, while a huge fan of the FEC (Future England Captain), you have to ask yourself whether it’s really fair to expect him to switch to a specialist back row role at international level from the position he plays week in/ week out for his club? He’s a very, very special player, and I guess that if anyone could do it then it’s him, but are England’s back row resources really that depleted? Eddie Jones has stated that the English game doesn’t have specialist opensides who are good enough to play internationally, which is why his preference has been to deploy defensively robust players at 7 who are good over the ball. 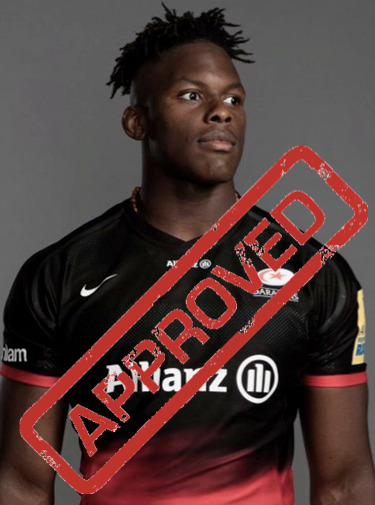 Itoje certainly fits that description, but it would be something of a kick in the teeth for the likes of Matt Kvesic, Luke Wallace and other aspiring English opensides if they were overlooked in favour of a lock forward with little or no experience of their specialist position.